Cosmic Gate have created and inspired some of the most influential music ever to hit our dancefloors over the past decade. This long player is a good indication of how the guys constantly push today's musical boundaries, blending a perfect mix of trance and progressive combined with their tight production skills and the duo's distinctive Cosmic Gate sound. Emma Hewitt who features on current single Not Enough Time has previously worked with electro DJ-producer Chris Lake and provides a poignant vocal for the track's atmospheric melodies. Tommy Clint and Jades both bring a rocky edge to proceedings with tracks Only Time and Seize The Day with guitar riffs and bass mixed neatly with soaring synths. Tiff Lacey appears on album opener Open Your Heart that will satisfy all euphoric fans. There are also plenty of driving club numbers such as Arctic Sunset and title track Sign Of The Times. Cosmic Gate's fourth milestone delivers a perfect, cutting edge mixture of vocal and instrumental tracks. With a tour diary fully rammed for the upcoming year, the duo continues on their path to gain followers and champion their forward thinking prog-trance sound - Sign Of The Times will win props from the world's dancefloors and electronic enthusiasts. 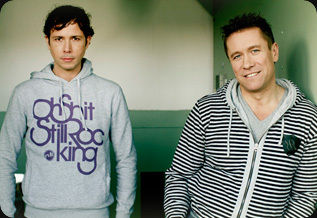 The DJ mag voting has closed and the winners are announced: Cosmic Gate went 43 skyrocketing places up (which makes them "Highest Climber 2009") and are now the number 19 of the world's best DJs! 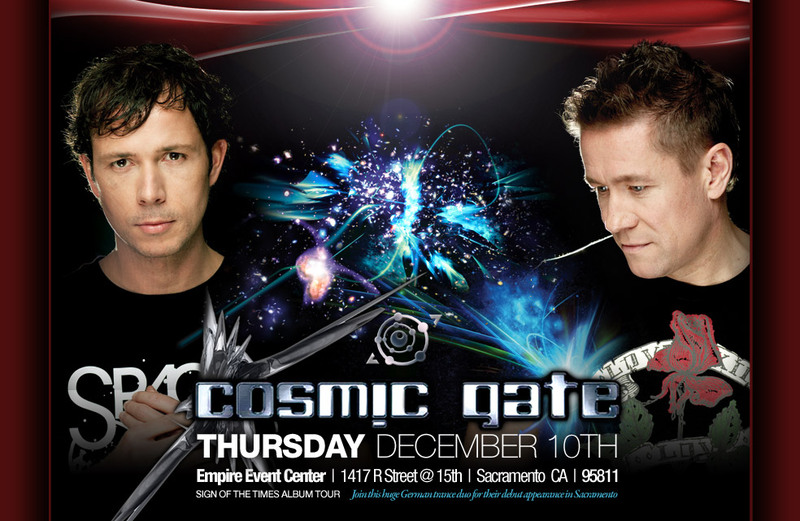 For Cosmic Gate, 2009 has been a very successful year. They released their fourth artist album, 4 singles and toured around the world with gigs on every continent almost every weekend. Now it seems that Bossi and Nic are facing a even more sedulous year 2010! Over 10 boundary-pushing years, Nic Chagall and Bossi have evolved Cosmic Gate into one of the most creative and highly-sought-after electronic music acts in the world. Revered uber-producers, their musical acumen has seen them become long-term favourites of the trance’s Big 5 DJs with their 3 hugely-received albums transporting anthems like ‘Body of Conflict’, ‘I Feel Wonderful’, ‘Analog Feel’, or the classics ‘Exploration of Space’ and Fire Wire to the dancefloor. As DJs, their kinetic, blood-pumping live performances are seen by hundreds of thousands of club and festival goers annually. The vocal anthem ‘Body of Conflict’ and the single ‘Not Enough Time’, which in the words of Tiësto is “a great and solid vocal trancer that touches all your musical senses!” And in the broader scale on ‘Sign of the Times’ Armin van Buuren says “The new Cosmic Gate album is one of the most anticipated releases of this year. They are on the forefront of the dance music sound of the moment." Deck-side Nic and Bossi have whipped floors into frenzies all the way around the world. Playing at Tiësto’s now-famous Monday nighter at Privilege in Ibiza, rocked roofs at the Judgement Sunday nights and decisively broke into the US and Australian clubbing scenes through a string of sell-out tours. They appeared in the DJ Magazine’s list of Top 100 spinners for 6 years now and are regular festival attraction, spinning at events like Trance Energy and Mysteryland in The Netherlands, Summadayze in Australia, Germany’s Nature One and Stateside at Nocturnal. Also roadblocking the Freedom Festival with Tiësto in Malaysia and Sunrise in Poland. Back2Back, Cosmic Gate’s on-going compilation series was devised as the at-home testament to the pair’s club-rocking exploits. The compilations bring the evocative mix of trance, progressive and electro and stands apart through their use of numerous at-the-time unreleased productions and unique Cosmic Gate edits. 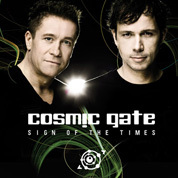 Over their production lifetime, the Cosmic Gate remixes have become almost as fêted as their productions. Essentially a blow by blow of trance music’s A-list, Nic and Bossi lent their studio know-how to productions by the likes of Tiësto, Armin van Buuren, Ferry Corsten, Above & Beyond’s OceanLab project, Rank 1 and Blank & Jones. Most recently they rewired Deadmau5’s ‘Clockwork’ to devastating effect and created two highly-praised remixes of ‘Vincent De Moor - Fly Away’ and ‘Veracocha - Carte Blanche’.